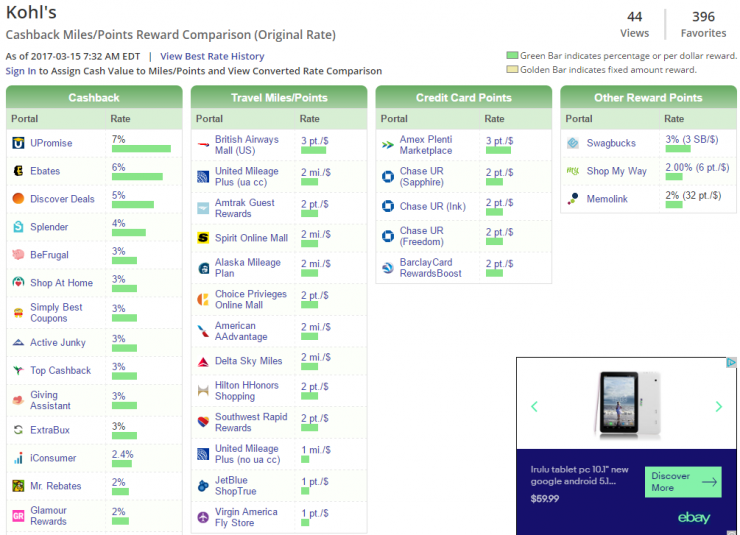 I use portals to buy small items to keep my points and miles from expiring. If I have a major pre-planned purchase I sometimes take the extra minutes to buy online for store pickup. Also note that US members of BA Executive Club can earn points on eBay purchases. Store pickup is normally the only way to avoid shipping charge on small orders.